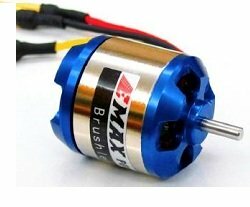 Electrifly Brushless Motors are top-of-the line quality motors. Electrifly is a division of Great Planes Great Planes Model Manufacturing, one of the biggest names in the hobby. Electrifly produces airplanes, batteries, motors, electronic equipment, and just about any accessory you can think of that’s related to electric RC Flight. 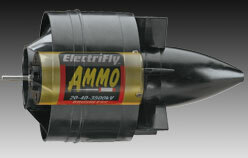 The Ammo is Electrifly’s in-runner line of brushless motor. Sizes are available for pulling RC airplanes anywhere in the range of 2 oz to about 6 lbs. They can be used in direct drive applications, but are normally used in conjunction with a gearbox. Electrifly Ammo Motors are also great for the use in ducted fan jets. Electrifly's L-39, Miglet, XPD-8, and Synapse jets all come with Ammmo motors. Get outta the way because these little guys will flat out move! 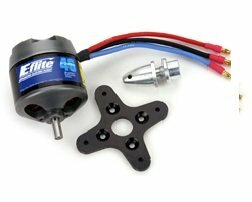 Electrifly’s Rimfire motors are out-runner brushless motors. No need for a gearbox. Just bolt them to the fire wall and you're ready to fly. You can power an RC plane up to 20lbs with one of these animals! You can also get them small enough to fit those tiny indoor flyers. 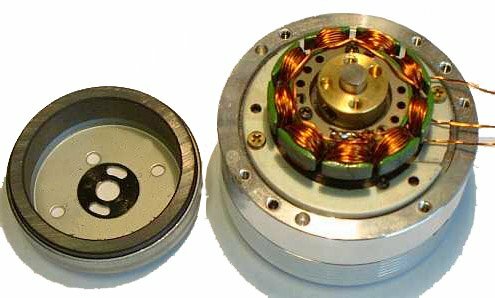 Rimfire motors are known for their impressive power output. They have a patented housing that cools the motor very efficiently which allows them to produce nearly twice as much power as similar sized motors from other manufactures. 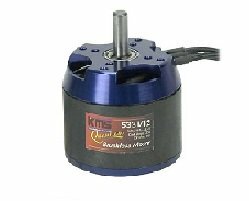 These charts from their website will make help you choose the right brushless motor for your plane.